Robert “Bob” B. Henderson, age 74, of Tomahawk, WI, passed away peacefully in Arizona under hospice care on Wednesday, March 13, 2019, surrounded by his loved ones. Bob was born on November 3, 1944, in Elkhorn, WI, to the late Alvin and Lois (Peck) Henderson. He grew up in the Racine County area, graduating from Washington Park High School in 1962. He was married to Mary Stindle in 1965. Together, they had two children, Gregory John and Kimberly Jean. Bob began his plumbing apprenticeship under his father and later started his own plumbing business. He continued his plumbing business for 44 years. He retired in 2005 and moved his family to Tomahawk. 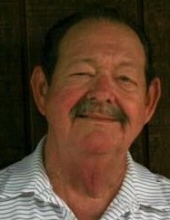 In his younger years, Bob enjoyed snowmobiling, playing baseball, bowling, and going hunting and fishing with his son. In his later years, he enjoyed four-wheeling and spending winters in Arizona. Bob was a true fan of the Packers, Brewers, Badgers, and Nascar Racing. Close Friends and Cousins, Diane Reise and Debra Cherney. Bob is further survived by his 3 Stepdaughters, Donna Adams, Cindy Kane, Lisa Friese; and his Stepgrandson, Matthew Cummings. He was preceded in death by his Parents, Alvin and Lois; his Wife, Mary; and Daughter, Kimberly Jean. Memorial Services for Robert Henderson will be held at Generations Funeral Home at a later date and announced at that time. To send flowers or a remembrance gift to the family of Robert B. Henderson, please visit our Tribute Store. "Email Address" would like to share the life celebration of Robert B. Henderson. Click on the "link" to go to share a favorite memory or leave a condolence message for the family.